This is the motto of a South African company which launched an unbelievable and revolutionary project for improving daily life of many unfortunate families all around the world and, at the same time, helping the sustainability. 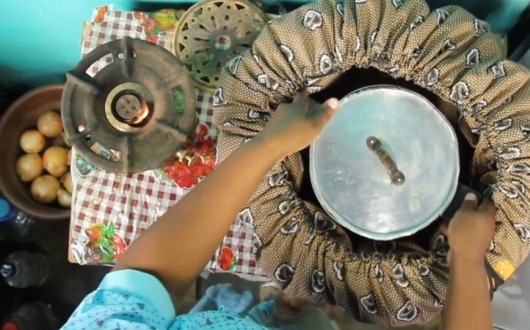 As its name suggests, Wonderbag is a bag created to contain pots and cookers which are still boiling or simmering food. Use a Wonderbag is simple: put the food in a pot, boil or simmer it for a pair of minutes, bag the pot, wait for the food is ready and serve it. Inside the Wonderbag, the food will continue to cook slowly for up to 12 hours. What are the benefits for people and the planet? It will not WASTE your TIME: while Wonderbag cooks, you can do other important things. The campaign to help Third World‘s people begans with women. Indeed, 3 billion women around the world still cook over an open fire each day causing serious environmental and health impacts that disproportionately affect women and children. 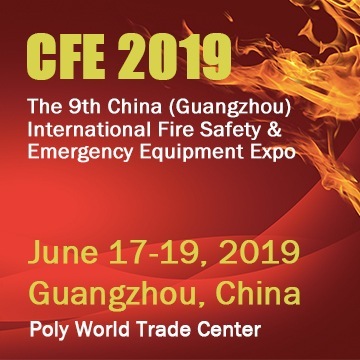 Every year, smoke inhalation from these fires and indoor air pollution is the leading cause of death globally killing over 4 million people and sickening many others. 50% of premature deaths will be children under five due to household air pollution. But everything is going to change with Wonderbag. See more details on Wonderbag – a recipe for change. CapeNature, the Gouritz Cluster Biosphere Reserve (GCBR) and Wonderbag – the company that manufactures and markets a heat-retention cooking bag with the same name – have launched a project in Oudtshoorn and De Rust that is creating jobs, developing skills and giving disadvantaged households the tools to help fight climate change. This scaled-up version will see community members receiving information on climate change, as well as tips and tools on how to conserve the environment, use water wisely and save electricity and other sources of fuel. At the same time, people will be taught about the Wonderbag and the spekboom – a small-leaved succulent indigenous to the Eastern and Western Cape, whose enormous carbon-storing capabilities make it a natural climate change fighter. Each participant will receive a spekboom cutting to plant at home. A few months later a follow-up workshop will take place and households whose spekboom plants are alive and healthy will receive a Wonderbag. The Wonderbag company, whose main factory is in Tongaat in KwaZulu-Natal, provided the project with 1 000 Wonderbag DIY kits and trained two groups of women on making the cooking bags. Two micro-factories were set up in homes in Oudtshoorn and De Rust where manufacturing is progressing well. Once enough stock has been built up, the community workshops will start. The manufacturing and community workshop costs are funded by the Foundation for Human Rights and the Government of Flanders. A committee on which all three partners are represented will identify the communities to be visited. The details are still being confirmed, but the planning is that a minimum of 10 and a maximum of 20 communities in and around Oudtshoorn and De Rust will be targeted. The project also has a business development element. Of the 1 000 bags that are being manufactured, 750 will be used in the trade model. The remaining 250 will be given to a local women empowerment group to sell and, in so doing, start a small business.